As early as kindergarten, kids are introduced to math. As they progress in grade school, children will learn math skills such as addition, subtraction, multiplication, division, and more. While math can be fun and challenging for some children, it can be a very different experience for others. For many students, working with numbers and math concepts can lead to math anxiety, in which they can develop a fear and stress about math. They can feel anxiety about not getting the answers right and not understanding what is being taught. They may feel frustrated and upset about not doing well in math and may develop a dislike for the subject, making the development of math skills even more difficult. 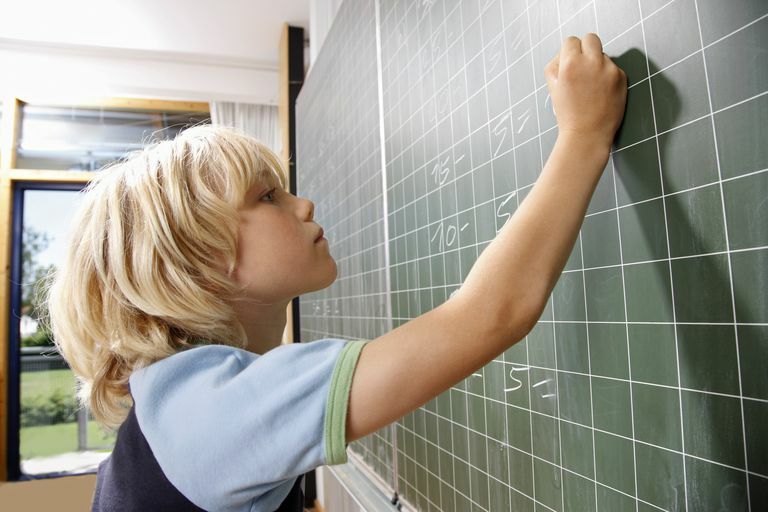 Often, children develop math anxiety when they don’t master early math skills, and then are continually expected to learn additional math when they haven’t yet gained the fundamental knowledge. Just as a solid building cannot be erected upon a shaky foundation, expecting a child to gain new math skills when they haven’t mastered the basics can lead to a lack of confidence and anxiety about math. But this is precisely what can happen when children try to struggle to find the correct answers to math problems without understanding the concepts in the first place. School-age children may also see peers excelling in math and develop a belief that they are not as “naturally” good at math as these other children are. This can lead to self-doubt and a reluctance to try harder at improving their own math skills. Parents can help a child overcome math anxiety by offering reassurance, practical assistance, and by making it fun. Most of all, they can set the tone by developing a positive attitude toward math themselves, and try to find a way to use numbers as much as they can with their child in everyday life. Here are some ways parents can help their child avoid stress about math. Play math games. Whether you play math games online, get out some number-centric board games such as Monopoly or Double Shutter, or use some common kitchen items to play with numbers, playing games that are math and numbers oriented is an excellent way to make math fun and get children interesting in doing the math. Be aware of your own attitude toward math. Have you ever said things such as, “I’m not good at math,” or “I just don’t like math”? If so, consider changing your attitude, or at least not voicing such negative ideas about math out loud. Your child is watching and learning from you, and if you express negative feelings about math rather than talk about the fun and important aspects of math, then you are doing your child a disservice. Practice with your child. When it comes to math skills such as addition, subtraction, multiplication, and division, nothing beats practice. And learning multiplication facts is a matter of drilling. Practice multiplication tables on the way to school, while your child is having a bath, right before story time at night -- whenever you can squeeze it in. Print out math worksheets and practice doing math problems, making things fun and challenging by using a timer or giving your child a treat for finishing the problems and getting faster doing them. Ditch the idea that some people are not good at math. This is a particularly important message for girls, who may pick up the misconception prevalent in the world today that boys are better at math than girls. While some experts have asserted that a math gender gap no longer exists, other researchers have argued that it does; the reason for those differences are likely complex and varied, including parents’ and educators’ failure to nurture girls’ confidence in math, societal pressure for girls not to succeed in math, and parents’ and teachers’ failure to spot girls’ early struggles with math, which can then worsen over time. Get help early. And while we’re on the subject of a math gender gap, a fascinating study from the University of Illinois in Urbana-Champaign found that the math gender gap between girls and boys widens between kindergarten and 5th grade. Moreover, the study determined that many teachers may mistake girls’ attentiveness in class and completion of assignments as indicators that they understand the material, when in fact, they may not. To make sure that a child -- boy or girl -- really does understand the material, teachers and parents should go over the material with the child, and if necessary, give him or her some extra help as soon as possible. Help your child shake off mistakes. One of the best things you can do as you help your child develop math skills and learn other academic and life lessons is to assure him that mistakes are something that will happen and that they are learning opportunities. If you can help your child put math mistakes into perspective and remind him that they are what will ultimately help him learn, your child will be less likely to develop anxiety about math.